 Then shall the Lord go forth, and fight against those nations, as when he fought in the day of battle. And his feet shall stand in that day upon the mount of Olives, which is before Jerusalem on the east, and the mount of Olives shall cleave in the midst thereof toward the east and toward the west, and there shall be a very great valley; and half of the mountain shall remove toward the north, and half of it toward the south. And ye shall flee to the valley of the mountains; for the valley of the mountains shall reach unto Azal: yea, ye shall flee, like as ye fled from before the earthquake in the days of Uzziah king of Judah: and the Lord my God shall come, and all the saints with thee. Zechariah 14:3-5. The Bible indicates a normal lifespan of seventy years for a human. You can see, from the preceding Scriptures, that if a man were to die between thirty and forty, he would have left the land of the living in the MIDST of his days. The word used for “midst” does not require that the Mount of Olives cleave precisely in the center. The Scripture merely indicates that a division will be effected in the middle section of the mountain. The old city of Jerusalem sets atop Cenomanian and Turonian limestone, a rock strata that will safely support the largest structures. One might naturally suppose, that just across the narrow Kidron Valley, you would find the Mount of Olives composed of a duplicate rock strata. However, its slope betrays its actual geological composition, for it is made of Cenomanian chalk – the same type of chalk that crumbles into a thousand pieces when it falls from a blackboard railing. I believe God deliberately formed it of chalk. When its northern and southern ends divide from its middle section, the entire middle section will sink downward and crumble into billions of pieces of chalk. This geological transformational process is shown in Parts A and B of Figure 32. 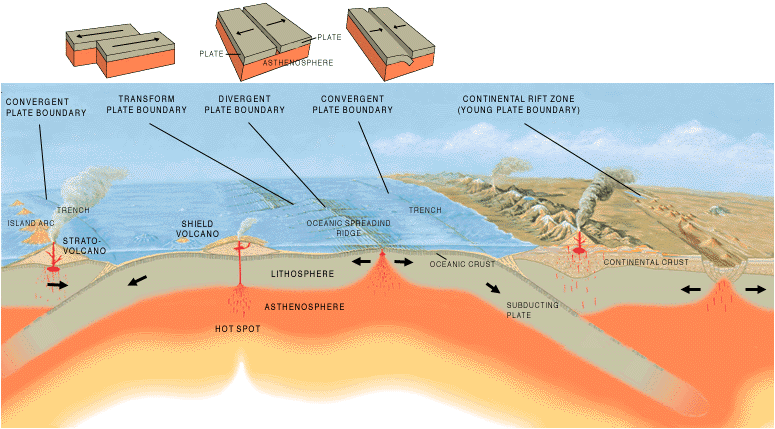 Such a downward slippage process has been used many times in the past by God to form large fault block valleys around the globe.